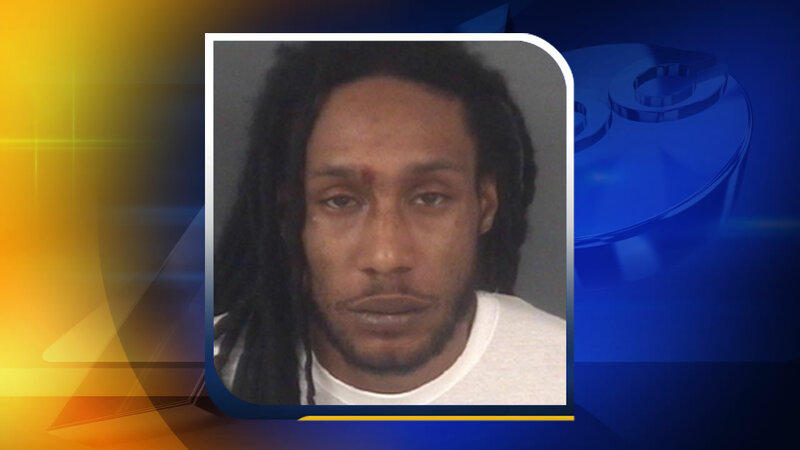 FAYETTEVILLE, North Carolina (WTVD) -- The Fayetteville Police Department says a second suspect wanted in a fatal shooting where the victim crashed into a house Saturday evening has surrendered. On Monday afternoon, police were involved in a car chase while searching for Demonte Deon Jones, 27, the second murder suspect. He turned himself in Tuesday. The search started Monday after officers recognized Jones as a passenger in a 2009 Toyota Venza in the area of Fisher Road and Strickland Bridge Road. Police said the driver has been identified as Joseph Matthew jackson, 25, of the 3300 block of Dandelion Lane. Police said the Toyota fled when officers tried to stop the vehicle, which was reported stolen from Cumberland County in January. During the pursuit, police said Jackson struck another vehicle at Raeford Road and Skibo Road while attempted to avoid officers. The occupants of the vehicle that was struck by the Toyota were not seriously injured. Officers lost sight of the Toyota at Owen Drive near Cumberland Road. After a canvass effort that included other law enforcement agencies, police got a tip that led them to the vehicle. The Toyota was found at a residence in the area of Dandelion Drive and Dragonfly Drive. Jackson was taken into custody. Jones was not found at the scene and may have escaped into a wooded area. It happened just after 9 p.m. in the 1000 block of Strickland Bridge Road near the Applecross Avenue intersection. The people in the house at the time were not hurt. Police said Sunday that the shooting victim, 26-year-old Rakeen McGoogan, died at Cape Fear Valley Medical Center. Monday, detectives announced 20-year-old Brian Lamar Martin Jr. of Raeford is charged with first-degree murder in the case. Martin and Jones area being held without bond at the Cumberland County Detention Center.